As a liberal arts major, I have to agree with this 100%. Reading helps broaden perspectives on life, love, relationships and friendships. You share the world of the writer for a while and is there anything more precious than that? But how reading fiction helps us exactly? By reading fiction, we learn how real people’s minds work. If we can understand characters in the novel we are reading, we can also understand our friends, colleagues, and even ourselves more deeply. This can bridge so many differences and misunderstandings that are inherent in the world today, and fill us with empathy and sense of belonging. In other words, when we read about fictional characters, we become better at understanding real people and real situations. And these skills make us better at our jobs and in life in general. We all suffer alone in the real world. True empathy’s impossible. But if a piece of fiction can allow us imaginatively to identify with a character’s pain, we might then also more easily conceive of others identifying with their own. This is nourishing, redemptive; we become less alone inside. It might just be that simple. 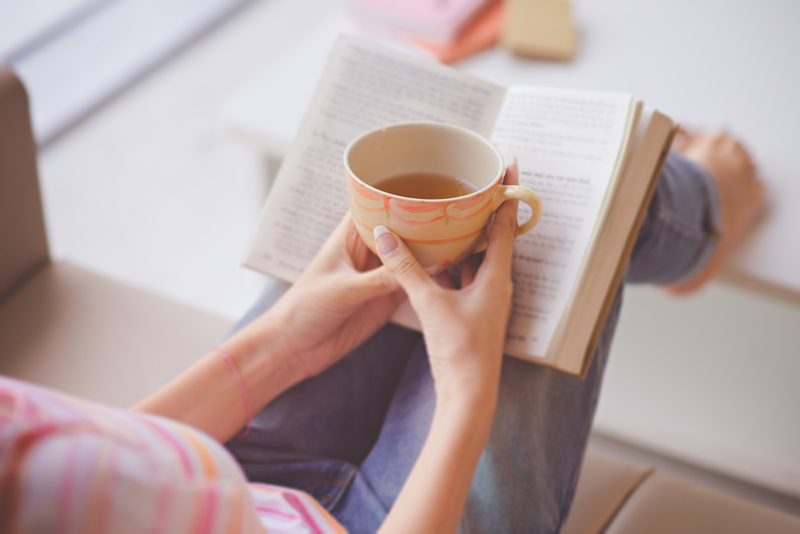 Recent research in cognitive science, psychology and neuroscience has demonstrated that deep reading—slow, immersive, rich in sensory detail and emotional and moral complexity—is a distinctive experience, different in kind from the mere decoding of words. 1. All the light that we cannot see – Anthony Doerr: an imaginative and intricate novel inspired by the horrors of World War II and written in short, elegant chapters that explore human nature and the contradictory power of technology. 2. Goldfinch – Donna Tartt – a novel of shocking narrative energy and power. It combines unforgettably vivid characters, mesmerizing language, and breathtaking suspense, while plumbing with a philosopher’s calm the deepest mysteries of love, identity, and art. It is a beautiful, stay-up-all-night and tell-all-your-friends triumph, an old-fashioned story of loss and obsession, survival and self-invention, and the ruthless machinations of fate. 3. The Mambo Kings play Songs of Love – Oscar Hijuelos – A Pulitzer Prize winning, bestselling sensation, Hijuelos captures in vivid and elegant prose the passion and poignancy of a world where the pulsing and rhythmic beat of the mambo imbues and fulfills dreams. Later made into the movie we all know: Mambo Kings. 4. To kill a Mockingbird – Harper Lee – The unforgettable novel of a childhood in a sleepy Southern town and the crisis of conscience that rocked it. Compassionate, dramatic, and deeply moving, To Kill A Mockingbird takes readers to the roots of human behavior – to innocence and experience, kindness and cruelty, love and hatred, humor and pathos. 5. The Age of Innocence – Edith Whaton – masterful portrait of desire and betrayal during the sumptuous Golden Age of Old New York, a time when society people “dreaded scandal more than disease.” This is Newland Archer’s world as he prepares to marry the beautiful but conventional May Welland. But when the mysterious Countess Ellen Olenska returns to New York after a disastrous marriage, Archer falls deeply in love with her. Torn between duty and passion, Archer struggles to make a decision that will either courageously define his life—or mercilessly destroy it. 6. Madam Bovary – Gustave Flaubert – tale of a young woman destroyed by the reckless pursuit of her romantic dreams. In reading Madame Bovary, one experiences a work that remains genuinely revolutionary almost a century and a half after its creation. 7. One hundred years of Solitude – Gabriel Garcia Marquez – The novel tells the story of the rise and fall of the mythical town of Macondo through the history of the Buendía family. It is a rich and brilliant chronicle of life and death, and the tragicomedy of humankind. In the noble, ridiculous, beautiful, and tawdry story of the Buendía family, one sees all of humanity, just as in the history, myths, growth, and decay of Macondo, one sees all of Latin America. Love and lust, war and revolution, riches and poverty, youth and senility — the variety of life, the endlessness of death, the search for peace and truth — these universal themes dominate the novel.